Pantographic makes rubber stamps in Cairns, self inking custom made stamps and traditional rubber stamps are made in our workshop daily. The stamp rubber is laser engraved providing the crispest detail in your stamp. Either pick up your completed order from our factory in Cairns or choose express post for shipping Australia wide. Guaranteed next day delivery from approved artwork! 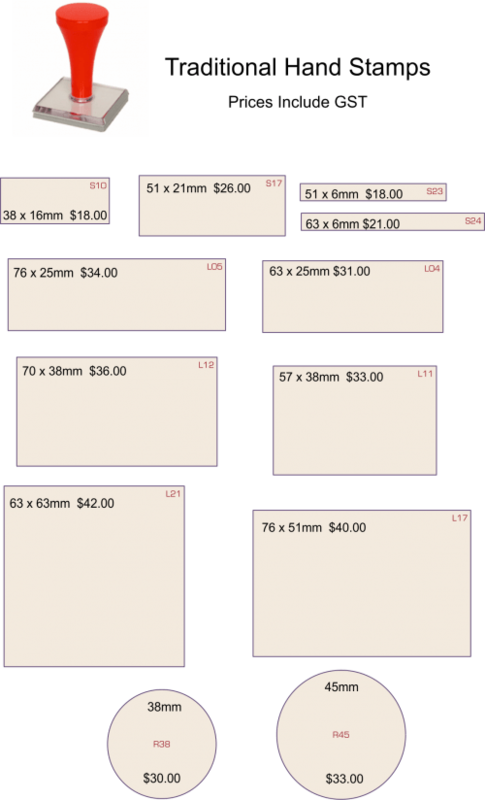 The following stamp sizing guides with prices will help you choose the rubber stamps you require. 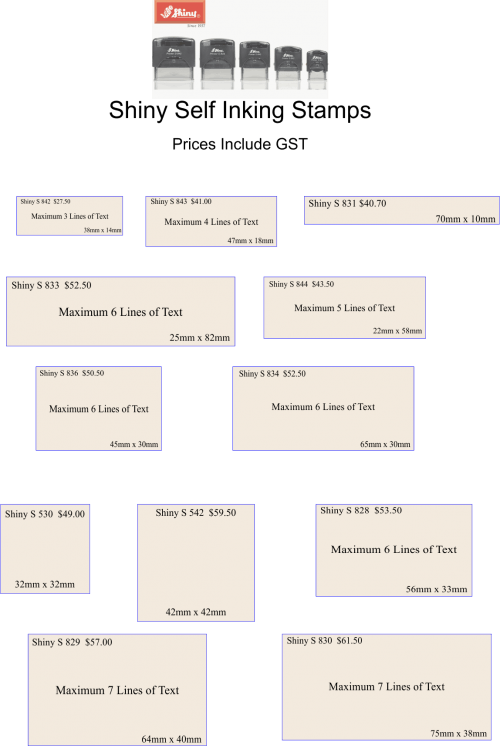 These guides will open as a larger PDF in a separate tab to help you select a stamp size or if you would like to print a guide to scale. We can also make custom stamp handles for whatever size stamp you require using our laser cutting machines. If you want a rubber stamp a specific shape we can also make the stamp handle base the exact same shape. 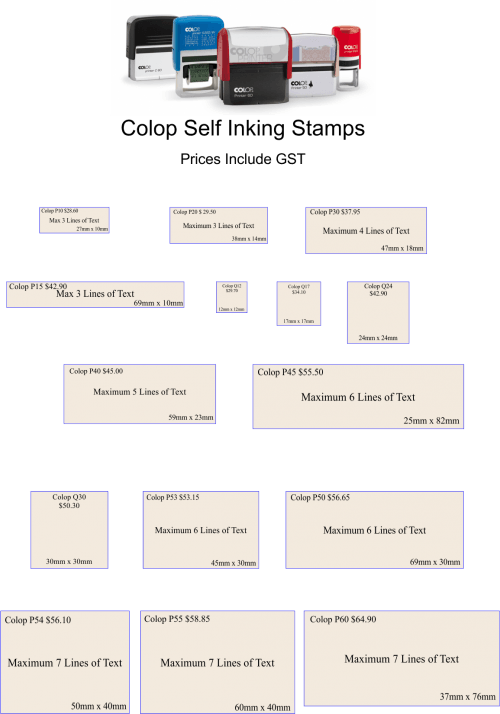 Stocking replacement stamp pads for the Colop and Shiny range of rubber stamps in Far North Queensland means that when it comes time to replace an ink pad you know that it is available locally for your rubber stamp.